The Frisco soldier and his family who lost their home to foreclosure while he was serving in Iraq will get the house back. Army National Guard Capt. Michael Clauer and his wife, May, lost their $315,000 southwest Frisco home in May 2008 after falling behind on Heritage Lakes Homeowners Association dues. The Clauers sued the association and subsequent buyers in federal court. A court-ordered settlement conference led to an agreement this week that gives the house back to the Clauers. A gag order prevents those involved from sharing details. But the bottom line is that the Clauers once again will own the home in the Heritage Lakes subdivision. "The family is very pleased that this matter has been resolved," said their attorney, Barbara Hale. But the debate over the power of homeowners associations in Texas continues. The Senate Committee on Intergovernmental Relations is studying possible changes to state law to ensure protections for homeowners. "We've heard heartbreaking stories from people who have been fined for things that were questionable," said state Sen. Jeff Wentworth, R-San Antonio, a committee member. State Sen. Royce West, D-Dallas, who chairs the committee, said he hopes to use stories like that of the Clauers in the upcoming legislative session to make such foreclosures illegal. "We were one vote short of having the bill put on the governor's desk," West said of previous attempts to change the law. "Now we're working to make sure we understand the opposition, and we're trying to get a clear picture of what they were opposed to in the bill and get those issues addressed." Homeowners associations say they need protections from people who don't pay their agreed share of a neighborhood's upkeep. "It's a fairness issue," said Frank Rathbun, spokesman for the Virginia-based Community Associations Institute, which provides resources to the associations and other community groups. "They collect fees for services and amenities. ... When enough people aren't paying, it puts them in a bind." The Clauers' attorney couldn't say whether the couple had to pay any money to get back the house, which they owned mortgage-free. The Heritage Lakes Homeowners Association was initially owed $977.55 in dues on the house. The association sent multiple notices by certified mail, demanding payment. All went unanswered. Under Texas law, a homeowners association can foreclose on a property and sell it at auction to collect what's owed. The two-story brick home was purchased at auction for $3,201 by Mark DiSanti of Dallas and Steeplechase Productions. DiSanti sold it in May 2009 for $135,000 to Jad Aboul-Jibin of Plano. Complicating the case was Michael Clauer's service overseas. His wife said she had severe anxiety and depression over her husband's absence and let mail pile up. She didn't open any of the certified letters and didn't realize the home had been sold until summer 2009, when Aboul-Jibin sent a letter asking for rent. Hale had argued in court documents that the family was protected from foreclosure by the Servicemembers Civil Relief Act. The federal law protects those on active duty from certain financial and legal obligations, including foreclosure, without a court proceeding. Clauer was on active duty from Feb. 15, 2008, to Oct. 9, 2009, according to court records. Attorneys for Heritage Lakes argued in court documents that because the house wasn't in Michael Clauer's name, he had no standing to sue under the federal act. The home was purchased by his wife's parents and a portion was later transferred into May Clauer's name. They also disputed the dates of his military service. David Margulies, a spokesman for the homeowners association, said it routinely checks for military connections before instigating foreclosure proceedings. He said a letter from the military stated that Clauer was not in the service when the process began. The homeowners association became a target of public outrage when news of the foreclosure spread nationwide. Association board members received death threats. Shad Bogany, secretary-treasurer-elect of the Texas Association of Realtors and a Houston-based real estate agent, said homeowners associations need to be reined in. 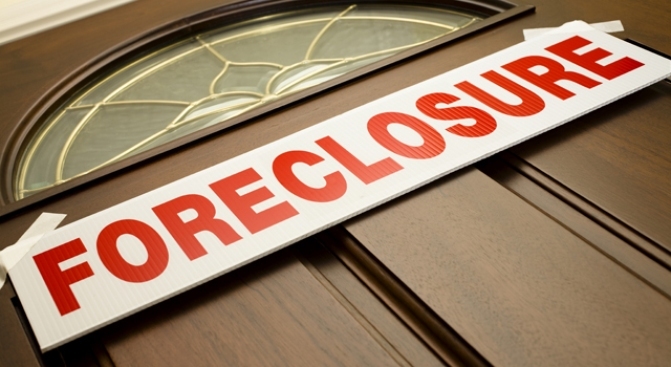 "We've got elected officials not paying attention to the consumer," said Bogany, who believes foreclosure should be the last step after all collection options are exhausted. "When there's a disagreement, who else can they call? What's the next step?" Bogany asked. "There is no next step. If the homeowners association isn't responding, there ought to be a neutral mediator for people to go to with complaints." But homeowners associations need money to maintain neighborhoods. If dues and fines aren't collected, sidewalks and streetlights may fall into disrepair. And current legislation offers little choice between doing nothing and foreclosing, said Tamika Harris, president of Blue Creek Ranch Homeowners Association in Houston. If a homeowner doesn't respond to the association's notices, there's "nothing we can do," she said. "The homeowner has to participate, and 99 percent of the time they do not. We can't force you." State Sen. Dan Patrick, R-Houston, said future legislatures need to make sure that foreclosures involve court proceedings and that the legal process is not expensive for homeowners. "I continue to be shocked at actions of some homeowners associations who do not seem to understand that a person's home is their biggest investment," Patrick said. "Most homeowners associations would never do this, but we've got a couple groups out there that for whatever reason seem to be quick to pull the trigger. That's unacceptable."